I had a really great day today. My husband got the day off and we had fun. I’ll have to write more about it tomorrow because I’m exhausted! I did get my hair cut though and it looks great. I found a new hairstylist that I’ll be hanging on to! Not only was she fun to talk to, she did an excellent job. I took a couple pictures in of Kelly Clarkson with long hair and curls that I loved. 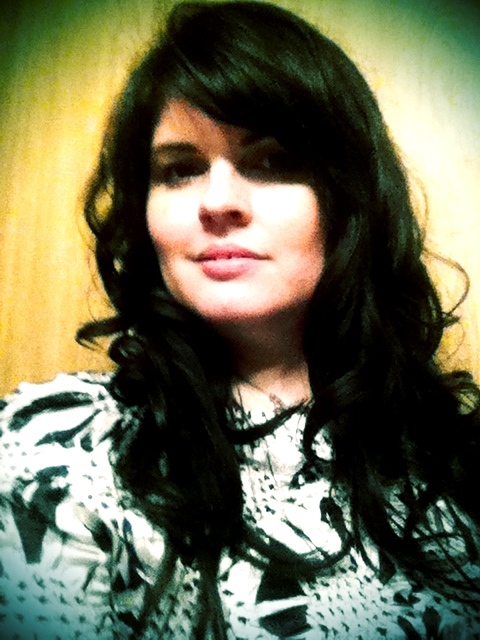 She showed me how to curl my hair with a flat iron and make it look like she did and I loved that. My bangs were a little grown out but not as long as what Kelly had. She blended my bangs into the side and made it look awesome!!! I love everything about it! I am so glad that I am feeling so much better. I feel so happy and just can’t wait to do so many things I’ve been wanting to and couldn’t. The medication change seems to have really helped and my pain in under control for the most part. My hands shake a little more but I’m willing to deal with that. Life is good! Thank God for Doctors who know what they are doing and who don’t quit learning! You look beautiful. And, even more importantly, YOU feel beautiful… I think that makes such a difference. I’m glad you had such a good day. Yes, it’s amazing. Turns out I was deficient in some vitamins like Vit D! So in addition to the change in medications that is helping too. Wow! You look awesome, Lady! !